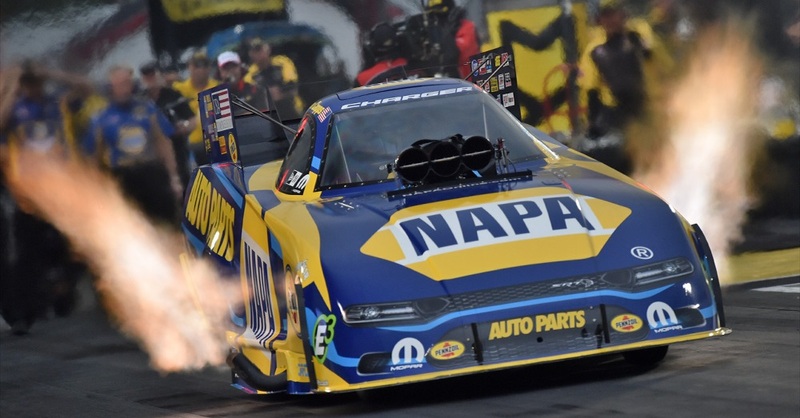 Reigning NHRA world champion Ron Capps drove his NAPA AUTO PARTS Dodge Charger R/T Funny Car into his 12th final round in 22 events of the Mello Yello Drag Racing Series on Sunday at the Texas Motorplex near Dallas and maintained his championship points lead with two events remaining. 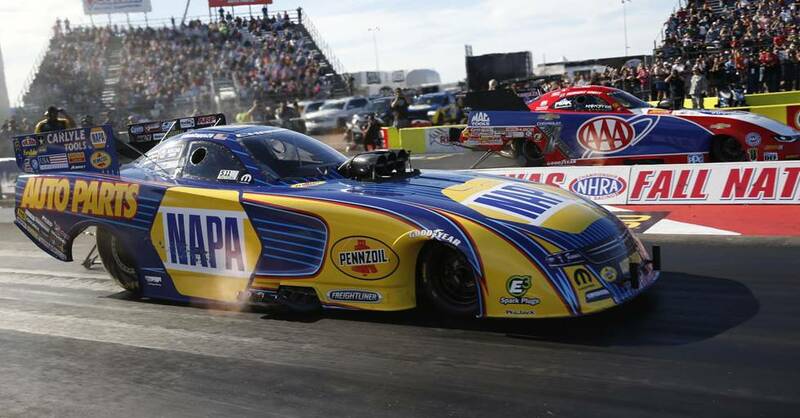 Capps wanted to leave the Texas Motorplex Sunday with his ninth NHRA Wally Trophy of the year and a special western hat winners receive from the track near Dallas. 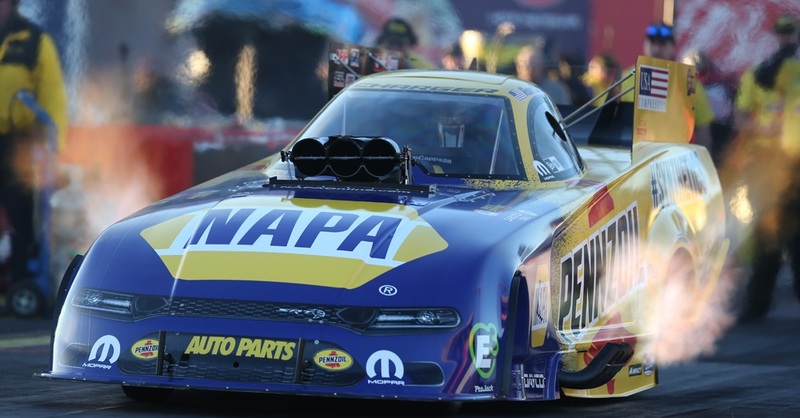 He didn’t receive either item but the driver of Don Schumacher Racing’s NAPA AUTO PARTS Dodge Charger R/T Powered by Pennzoil left with what was most important: the championship points lead in the NHRA Mello Yello Drag Racing Series Countdown to the Championship. 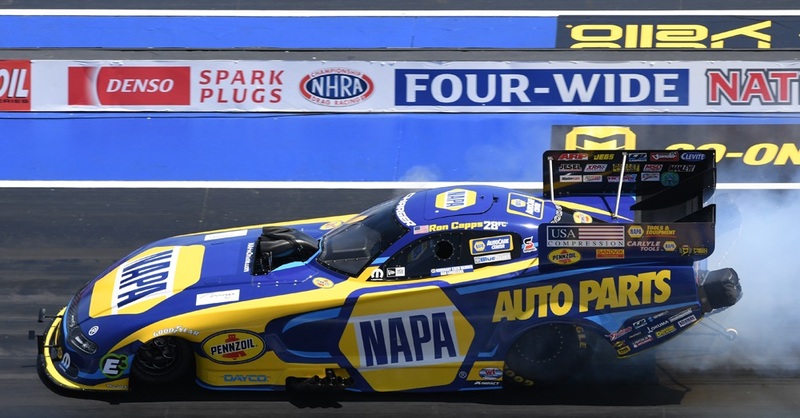 Capps with crew chief Rahn Tobler advanced to their 12th final round through 22 events but lost to Robert Hight, who was able to cut Capps lead to 24 points with two events remaining in the season. 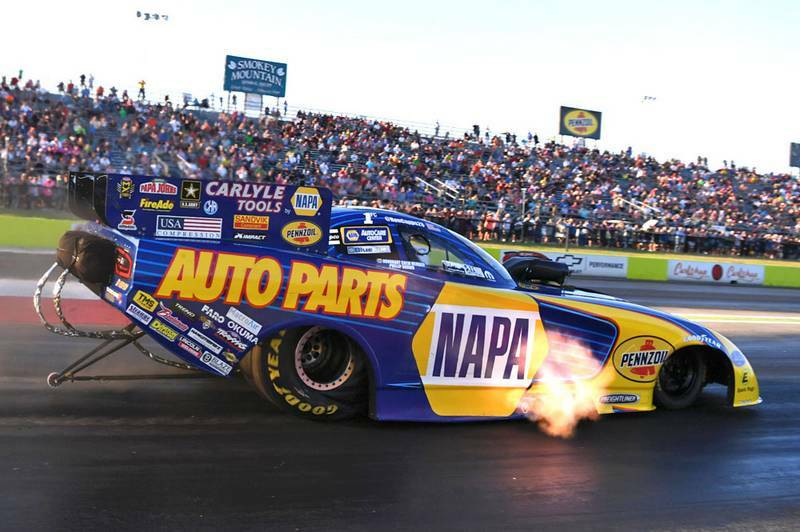 It is the second straight year Capps has advanced to the final round at the Motorplex, where he last won a title in 1998. 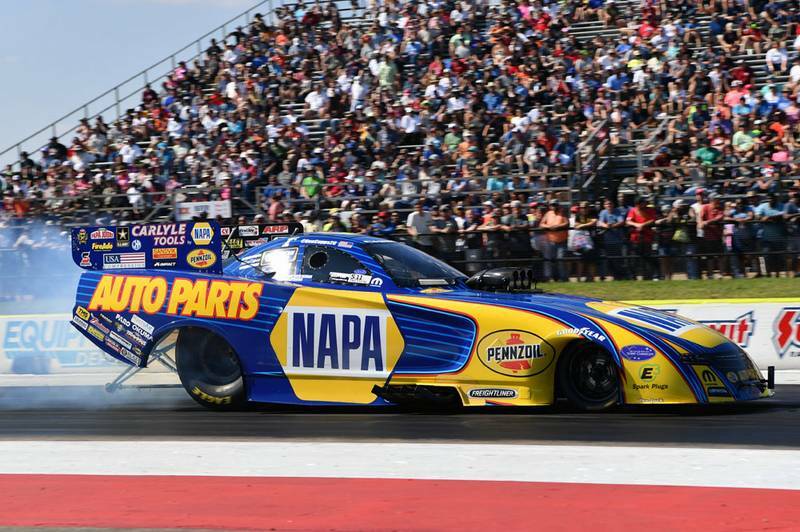 Capps took a big lead at the starting line against Hight with a stellar 0.038-second reaction time to Hight’s 0.054, but was unable to hold off Hight, who started from the pole for Sunday. 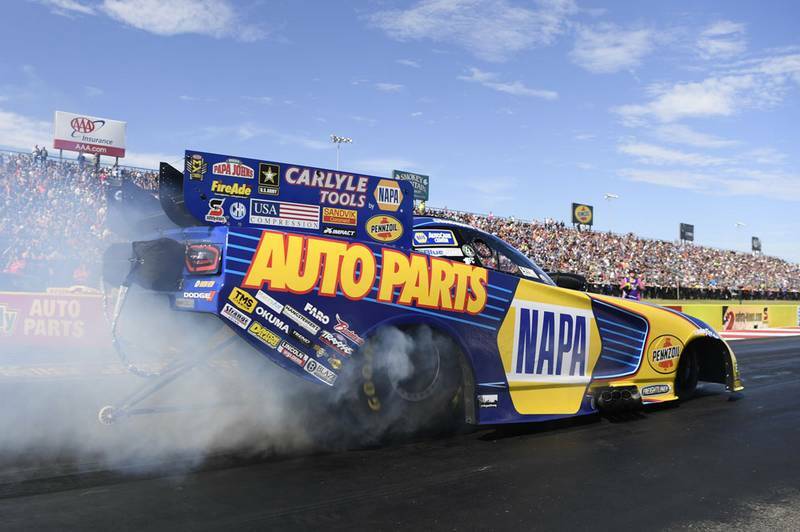 Hight’s winning time was 3.877 seconds at 332.34 mph to Capps’ 3.927 (329.18). 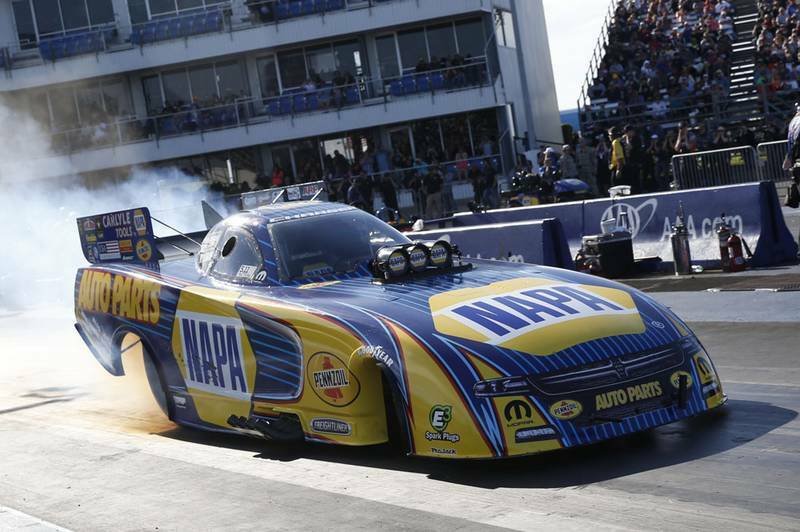 Capps, who was fast qualifier at the previous two races, was No. 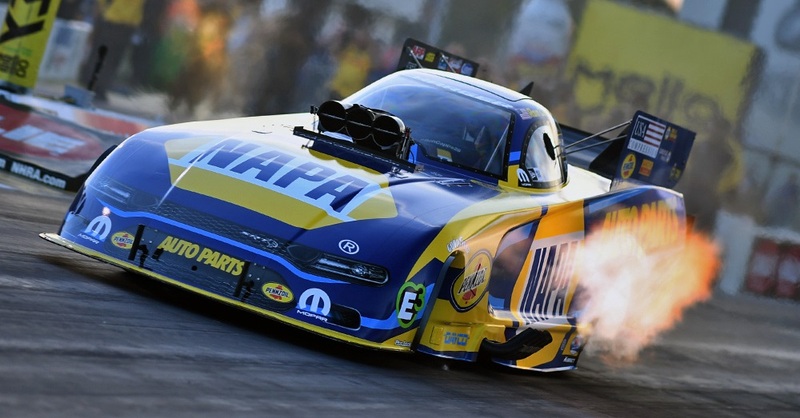 1 qualifier here until Hight knocked him off the roost with the last run in qualifying. 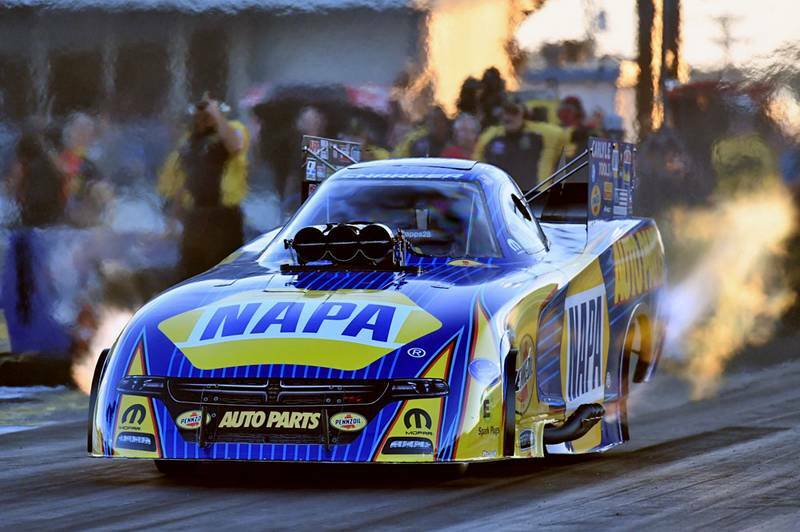 The Mello Yello Series will be off next weekend before heading to Las Vegas for the penultimate event and a week later ending the season at Pomona, Calif.